The V847UJ Limited Edition Vox Wah-Wah Pedal was produced for Vox by Dunlop Manufacturing of Benicia CA. The V847UJ was wrapped in a vinyl graphic overlay featuring multiple images of the British "Union Jack." It appeared in Vox catalogs from 2002 through 2004. 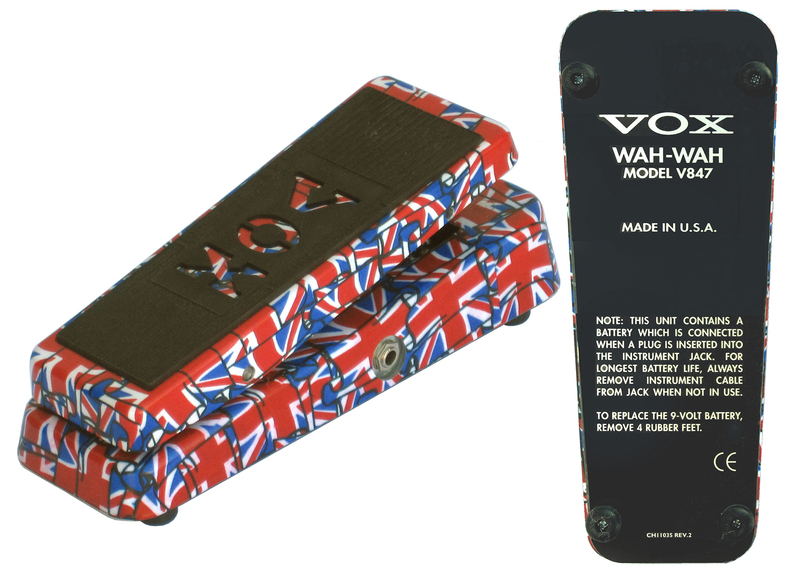 Aside from Union Jack graphics on the rocker and pedal base, it was identical to the standard V847 Wah-Wah pedal. It used the Dunlop N30 500mH inductor. 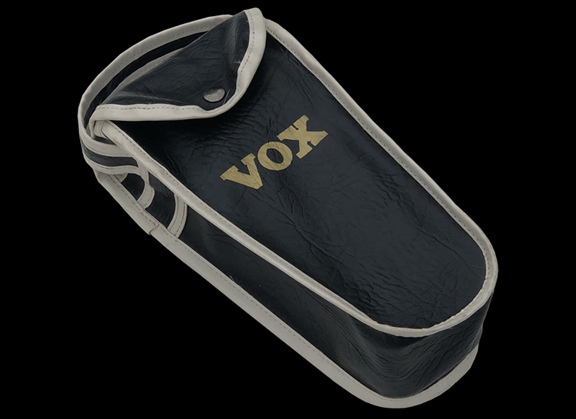 A black vinyl carrying pouch with a gold Vox logo was also included. My thanks to Josef Appell for allowing the Vox Showroom to take photos of his Vox V847UJ Limited Edition Wah-Wah pedal.